Asbestos Legislation The current legislation is the Control of Asbestos Regulations 2012. The regulations came into force on 6 April 2012, updating and replacing the previous 2006 version. The regulations set minimum standards for the protection of employees from risks associated with exposure to asbestos. Employers should also take account of people, not directly employed by them, but, who could be affected by the work being done on asbestos. Regulation 4 covers the duty to manage asbestos in non-domestic premises, this includes industrial and commercial buildings such as factories warehouses, shops and public buildings such as hospitals, churches, schools and museums. It also includes the common parts of domestic premises. It requires duty holders to identify the location and condition of asbestos in non-domestic premises and to manage the risk to prevent harm to anyone who works on the building or to building occupants. It also explains what is required of people who have a duty to co-operate with the main duty holder to enable them to comply with the regulation. The duty holder is a person who has by virtue of tenancy or contract an obligation to any extent in relation to the maintenance or repair of a non-domestic premises. This is the person who has the main responsibility for maintenance or repair of the building. The key requirements under Regulation 4 Duty to manage asbestos in non-domestic premises 1. To ensure that an assessment has been carried out to identify whether asbestos is present in the property and the condition of it. If there is any doubt as to whether a material contains asbestos, it must be presumed it does until proven otherwise. 2. To record the results of the assessment. This record is the Asbestos Register. This information must then be provided to anyone who works on, or disturbs the material. 3. 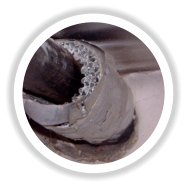 Once the Register has been compiled and the risk from the material assessed, a written plan must be devised detailing how the risks are managed. The measures specified in the plan should be adequate to monitor the condition of any asbestos containing materials and ensure Asbestos Containing Materials are properly managed. 4. The Management Plan must be implemented, reviewed and revised at regular intervals. Compliance The first stage in compliance is to commission a Management Survey to HSG 264, the required standard, giving compliance to Regulation 4. This will identify any asbestos containing materials present in the building and enable a Register to be compiled. Managing The Asbestos Containing Materials Under the Control of Asbestos Regulations (CAR2012 Regulation 4), you are required to manage any asbestos containing materials identified in the register so as to minimise the risk to persons who enter the building (ie staff, visitors, contractors etc) from becoming exposed to airborne asbestos fibre. The regulations require that the condition of asbestos containing materials must be inspected regularly and records updated accordingly. The frequency of the inspection regime must not exceed 12 months but is determined by the nature of the risk of the asbestos products present. 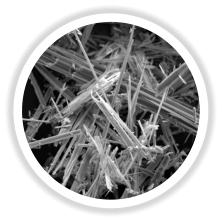 Over time asbestos based products can become damaged or deteriorate by weathering, causing the risk associated with them to alter. Ongoing Obligations Regular Re-inspections of any identified or suspected asbestos containing material must be made and its condition assessed periodically to check it has not deteriorated or been damaged. This period should not exceed a year. Asbestos Awareness Training In addition to the monitoring and inspection regime, it is essential that you ensure that all staff and contactors who visit the site are asbestos aware. Evidence of this training should be sought prior to the commencement of any works in the property. Furthermore, the latest copy of the Asbestos Register should be distributed to potential contractors so that they may review the document as part of their risk assessment for any proposed works, this is an explicit requirement of the regulations. Residential Property Changes to the Construction Design Management Regulations 2015 means that nearly all building contracts and building projects are subject to the regulations, this includes most domestic projects. Once works are subject to Construction Design Management Regulations it is necessary for a Refurbishment & Demolition Survey to be carried out prior to any commencement of works. Asbestos Legislation The current legislation is the Control of Asbestos Regulations 2012. The regulations came into force on 6 April 2012, updating and replacing the previous 2006 version. The regulations set minimum standards for the protection of employees from risks associated with exposure to asbestos. Employers should also take account of people, not directly employed by them, but, who could be affected by the work being done on asbestos. Regulation 4 covers the duty to manage asbestos in non-domestic premises, this includes industrial and commercial buildings such as factories warehouses, shops and public buildings such as hospitals, churches, schools and museums. It also includes the common parts of domestic premises. It requires duty holders to identify the location and condition of asbestos in non-domestic premises and to manage the risk to prevent harm to anyone who works on the building or to building occupants. It also explains what is required of people who have a duty to co-operate with the main duty holder to enable them to comply with the regulation. The duty holder is a person who has by virtue of tenancy or contract an obligation to any extent in relation to the maintenance or repair of a non-domestic premises. This is the person who has the main responsibility for maintenance or repair of the building. The key requirements under Regulation 4 Duty to manage asbestos in non-domestic premises 1. To ensure that an assessment has been carried out to identify whether asbestos is present in the property and the condition of it. 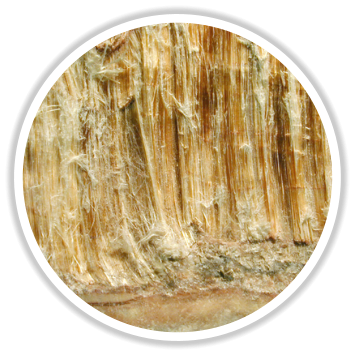 If there is any doubt as to whether a material contains asbestos, it must be presumed it does until proven otherwise. 2. To record the results of the assessment. This record is the Asbestos Register. This information must then be provided to anyone who works on, or disturbs the material. 3. Once the Register has been compiled and the risk from the material assessed, a written plan must be devised detailing how the risks are managed. The measures specified in the plan should be adequate to monitor the condition of any asbestos containing materials and ensure Asbestos Containing Materials are properly managed. 4. The Management Plan must be implemented, reviewed and revised at regular intervals. Compliance The first stage in compliance is to commission a Management Survey to HSG 264, the required standard, giving compliance to Regulation 4. This will identify any asbestos containing materials present in the building and enable a Register to be compiled. Managing The Asbestos Containing Materials Under the Control of Asbestos Regulations (CAR2012 Regulation 4), you are required to manage any asbestos containing materials identified in the register so as to minimise the risk to persons who enter the building (ie staff, visitors, contractors etc) from becoming exposed to airborne asbestos fibre. The regulations require that the condition of asbestos containing materials must be inspected regularly and records updated accordingly. The frequency of the inspection regime must not exceed 12 months but is determined by the nature of the risk of the asbestos products present. Over time asbestos based products can become damaged or deteriorate by weathering, causing the risk associated with them to alter.